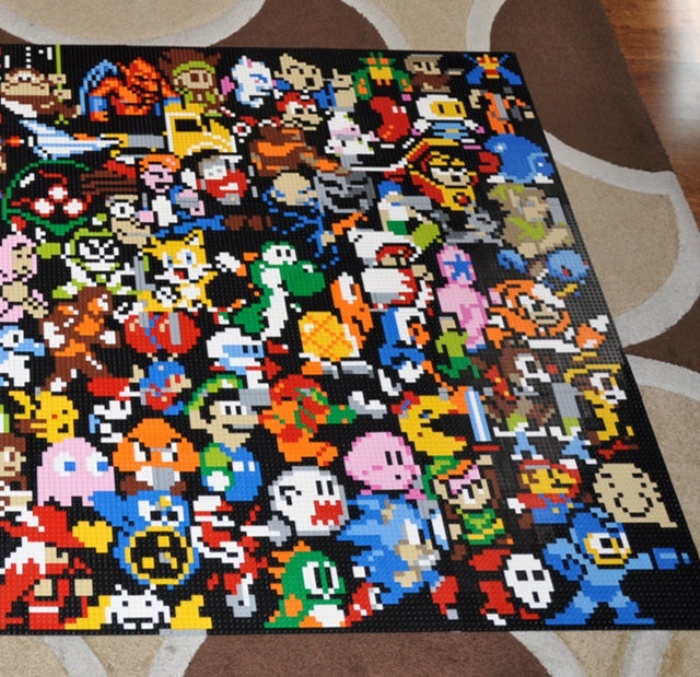 Epic LEGO Mosaic of Video Game Characters | OhGizmo! 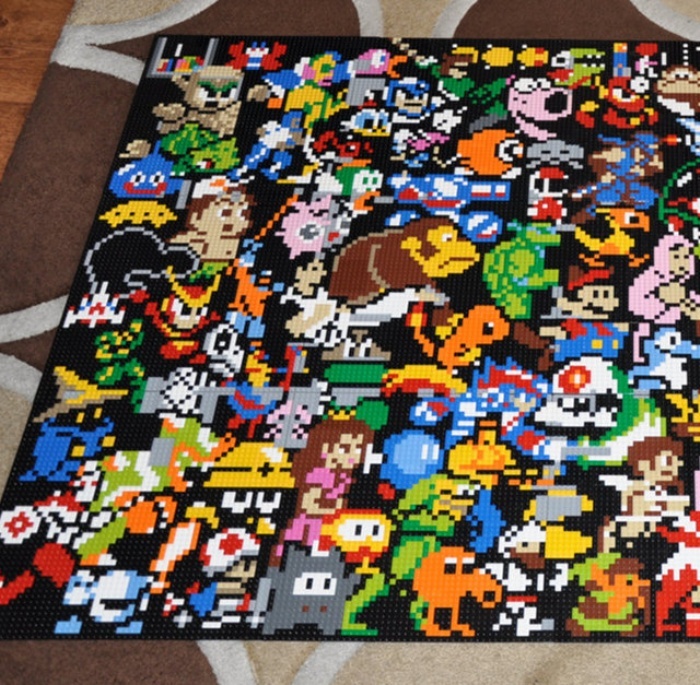 This is an awesome LEGO mosaic featuring characters from some of the most popular video game franchises ever, including Super Mario, Pokemon, and The Legend of Zelda. It was created using over 10,000 individual bricks (some of which are very rare, according to its maker) with a total value of about $2,190. The mosaic apparently took over six months to complete, and I have to say all that effort was well worth it because this thing looks epic. The good news? It’s been put up for sale because its owner is moving to France for work and obviously won’t be able to take the mosaic with him. He’ll also be giving the proceeds from the sale to his friend so she can send her class to Africa. Sounds like a neat cause. The bad news? It’s priced at $4,780.88. Hit the break to check out a couple of close-up shots of the mosaic.